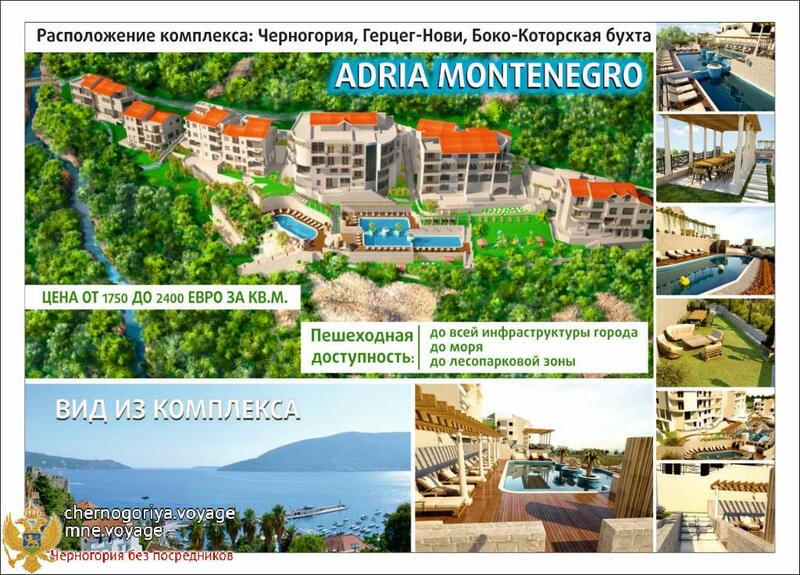 ADRIA MONTENEGRO complex built on the Adriatic coast in the North-Western part of Montenegro (See map.) In the forest area of ​​Herceg Novi. The population of this seaside town with all the surrounding area about 15 thousand. Man. It stretches along the coast and is a harmonious blend of the old town with low-rise buildings in the Mediterranean style. 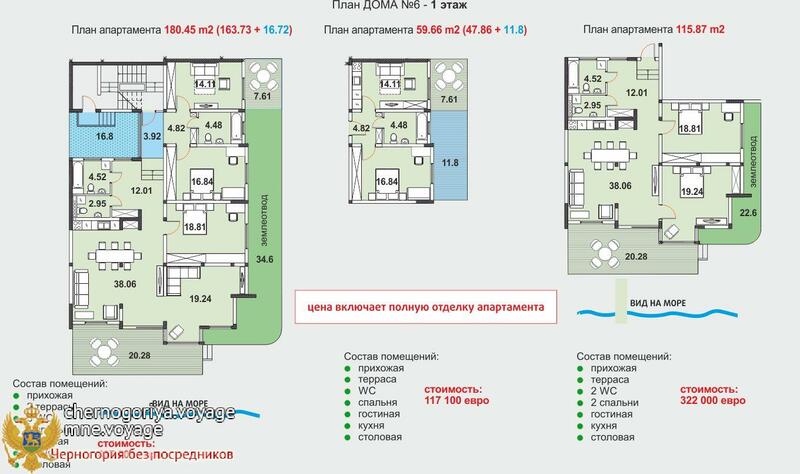 Basically it is three to four storey buildings. The pedestrian promenade stretching about 12 kilometers full of restaurants, cafes and shops. Along the promenade stretches of sand and pebble beaches and places for rest with umbrellas and sunbeds. There are a variety of water sports, terraces with atraktsionchikami and table tennis, and even catering right "to water." The town itself is surrounded by greenery and flowers, everything has to walk by the sea on cozy streets of the old town and the fortress (for details, see the description of the city of Herceg Novi. Location of the complex - it is a big plus. 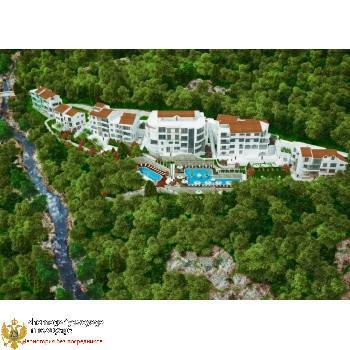 The complex is not in a dense urban environment, and is located on an isolated forested area. At the border flowing mountain river that gives coolness in the summer; it is also a source of reserve water supply. Mountain water is poured all swimming pools of the complex. Down to the sea promenade and 7 minutes on foot. However, the move (sideways) over the bridge across the river, once you find yourself in a thick and completely built-up with endless woodland forest path. (The array is not subject to building). If you go to the other side of the river, all the shops and other infrastructure of the city is also within walking distance. 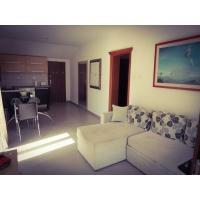 ADRIAMONTENEGRO - is a modern low-rise Mediterranean-style village. 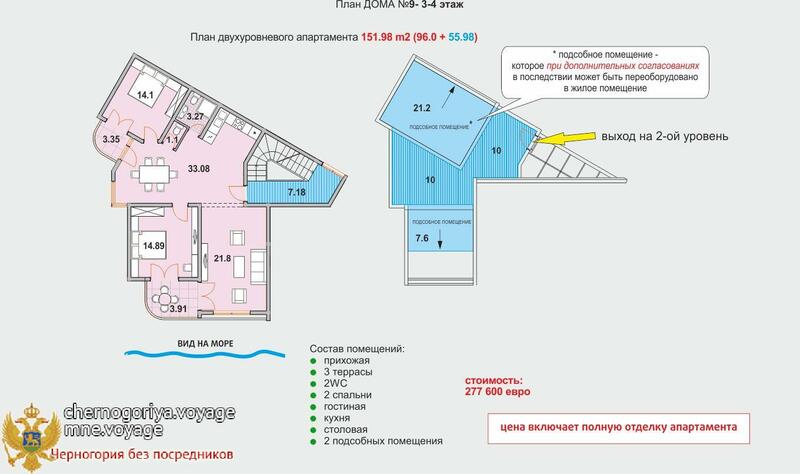 The total area of ​​4500 sq.m. Total 9 houses in the complex, although visually there are only six (three objects are doubled). Each building has a separate building permit. In the complex there any recurring plan. 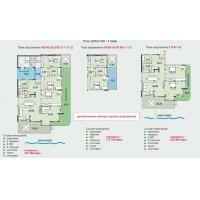 Even within a single building of the upper and lower flat different terraces and the presence of additional space. Decision of the State Commission for Supervision of the construction of the complex was commissioned in May 2015. 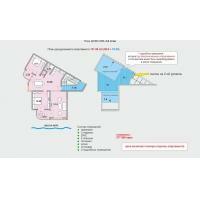 Plans rooms very spacious, mostly two and three bedroom apartments ranging in size from 70 to 140 square meters. meters. 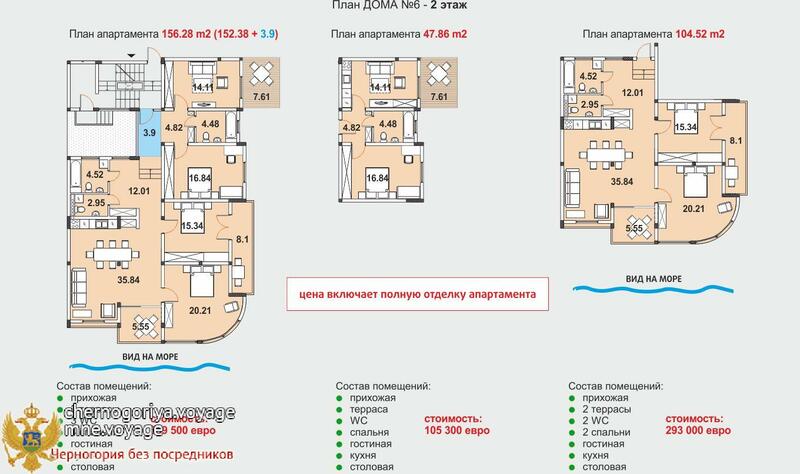 However, the complex has a few studios and small apartments. 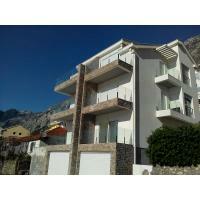 On the upper floors are apartments, including duplex, with an area of ​​140 to 280 sq.m. 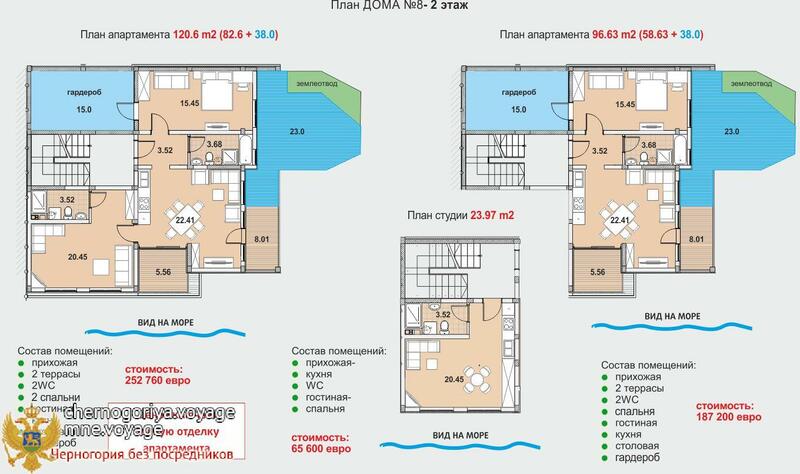 Two buildings, closer to the river, intended for those who would like to live in a separate house. 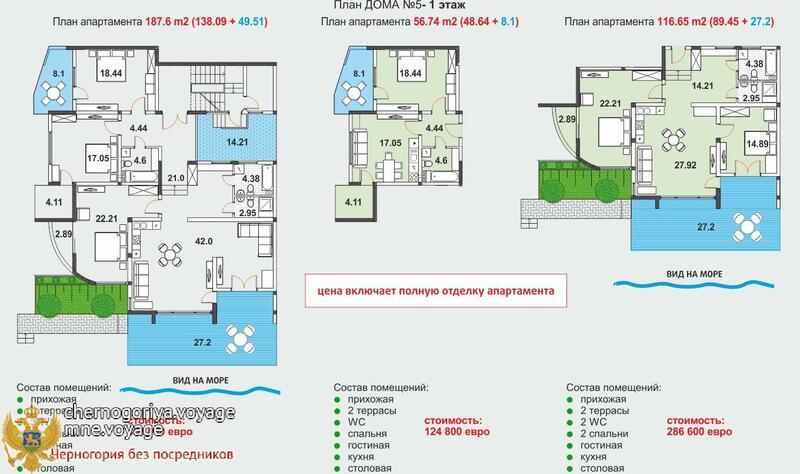 The building №1 this townhouse total area of ​​500 sq.m. 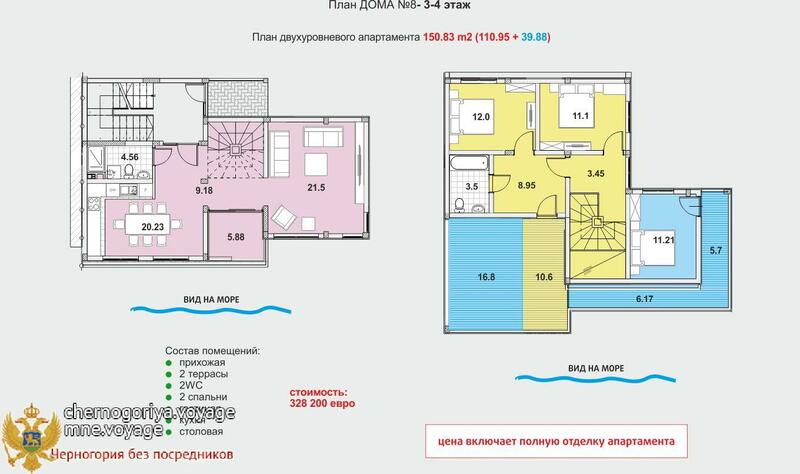 two owners, and the house №2 - is a one family house with an area of ​​about 300 sq.m. Both buildings have their own dedicated plot of land and a mountain river embankment. 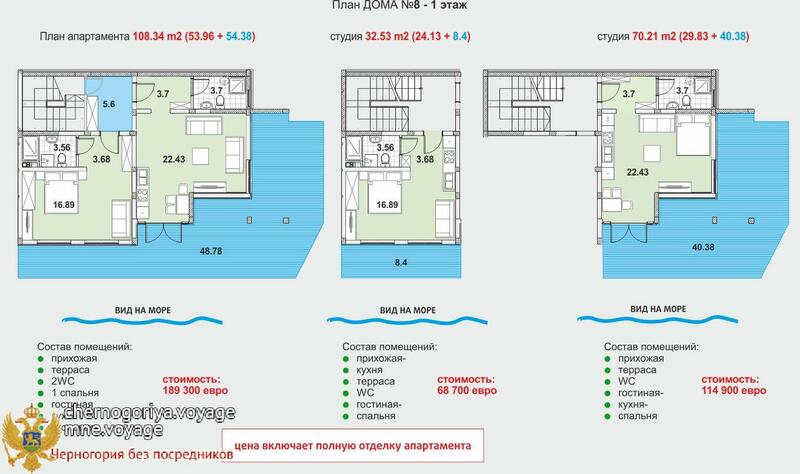 All apartments have panoramic views of the sea are not overlapping. Each apartment includes free parking place. The surrounding area is fully otterrasirovana and lined with natural stone. Three large swimming pools for adults and a pool for children are the adornment of the complex, around swimming pools are located recreation area, playground, barbecue area and a gazebo for relaxing. The pool is filled with clean water from a mountain stream. In the summer, when it is especially hot, you can not just take a dip in the pool, but also in the river and the trees above it protect from direct sunlight. In this sense, the position of the complex is unique and in conjunction with landscape design creates a cozy and unique microclimate for holidaymakers. Structurally, the building in the form of reinforced concrete frame and monolithic reinforced concrete slabs. The walls are made of brick and glass. The facade and roof are insulated with an additional 60 mm thick styrofoam. Rounding natural stone wall structure and Beauval. Everywhere installed air conditioning system, although such a construction homes, they apparently will not be used often. Inside the walls are plastered and painted in shades of white. Decorating the apartment is included in the cost and made of high quality ceramic and parquet. In places where the floor is laid tiles have floor heating. The window openings are inserted glazing of the highest quality trim elements made of polished oak. Energy-saving cover tinting prevents the greenhouse effect in summer and winter lets vystuzhivaniyu premises. Finishing equipment and bathrooms fully implemented "turnkey". 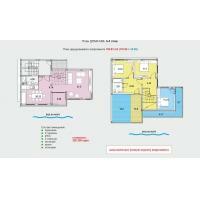 The location of the kitchen withdrawn all communications, but the kitchen is not included in the price. In those buildings where finishing is not yet complete, can finish on request. Everyday life and provides complex services management company. Its objective is to maintain the safety and security of the property complex and its residents, organize and maintain the smooth functioning of all technical systems, maintenance of sanitary condition of water in swimming pools, cleaning, garbage collection, provision of information and consulting services, assistance in setting up the apartments, providing a wide range of fee-based services such as window cleaning, the additional arrangement of apartments, etc. 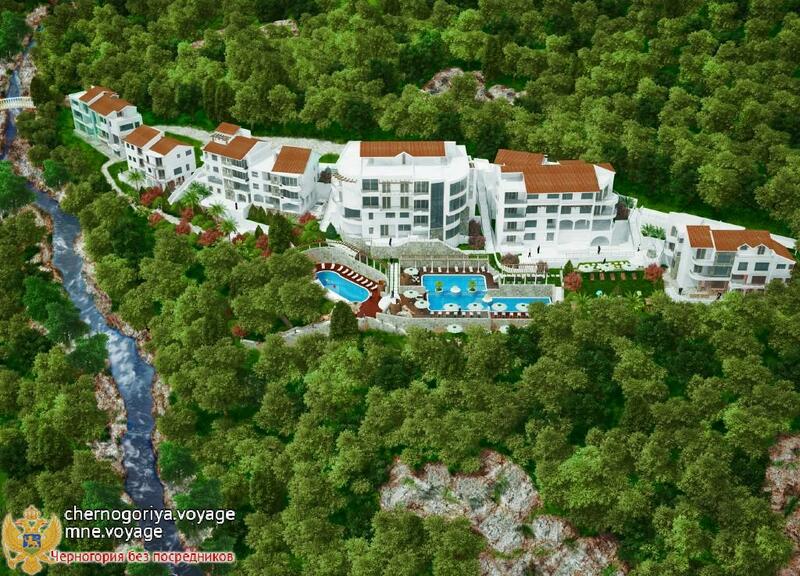 Our company has built and put into operation for several complexes on the territory of Montenegro. We have tried to think through every detail, based on the seven-year experience of living and construction in this beautiful country. The main board of the buyer: you buy does not square footage, you buy a place and a way of life, the future of the environment and infrastructure, neighbors and discos or their absence, shops and tourist ...... .. square meters - is a useful application for this choice. Price per sq.m. (+ - 20%) is not critical in making purchase decisions. Purchasing is not something you can not just return the purchase in the "shop". We wish you a pleasant thought about buying your dream! If you need advice or have questions, please call us and we will share with you my thoughts.